Tasmania is home to an incredible variety of animals, including four marsupial species that are now found nowhere else in the world. These are the Tasmanian devil, the eastern quoll, the Tasmanian pademelon and the shy Tasmanian bettong. There are also 12 endemic bird species in the state, some of which are among the most endangered in the world. Over the last 200 years Australia has recorded the world’s fastest rate of mammal extinctions, and other species are increasingly at risk of joining this trend. For the creatures that are now making their last stand in Tasmania, Bonorong is determined to do all it can to prevent them disappearing. As a result we have established, are participating in, or are planning the following initiatives. In 2010 fundraising started for the Bonorong Wildlife Hospital... and in January 2018 we opened! At Bonorong, we are very passionate about acting sustainably and then seeing how the little changes we make in everyday life can result in bigger changes overall. In 2012 Bonorong's Tarkine Trails established camera-trap monitoring of Tasmanian devil populations in the remote Tarkine Wilderness. 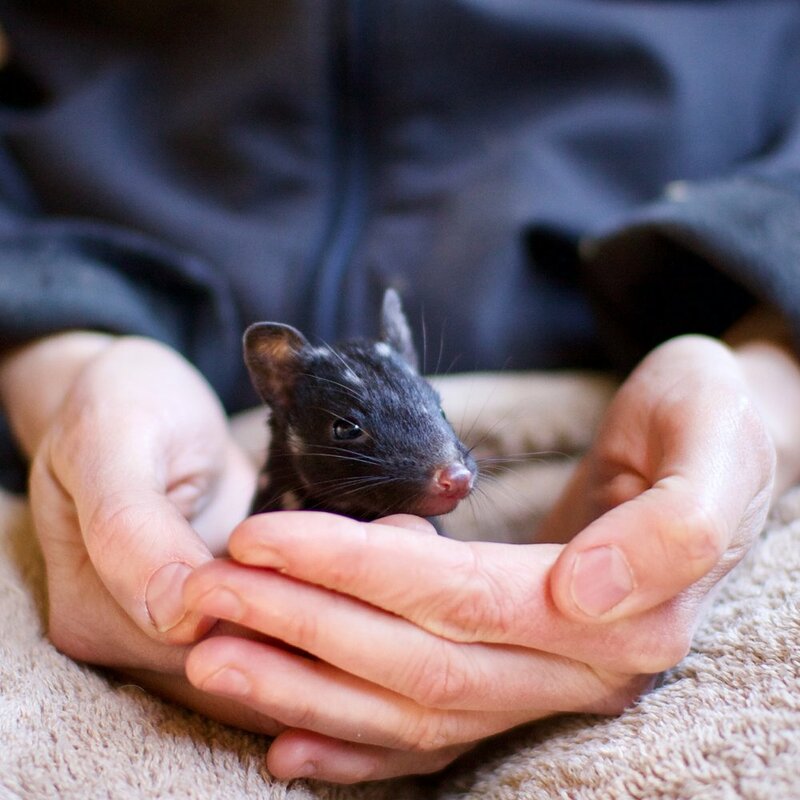 Bonorong are actively participating in the Tasmanian Quoll Conservation Program, allowing eastern quolls to be reintroduced to mainland Australia. In 2010 Bonorong established a quarantine facility and breeding program for the almost-unknown Tasmanian Tree Frog. This is the question we all get faced with when confronted with the insurmountable task of "saving the environment"!